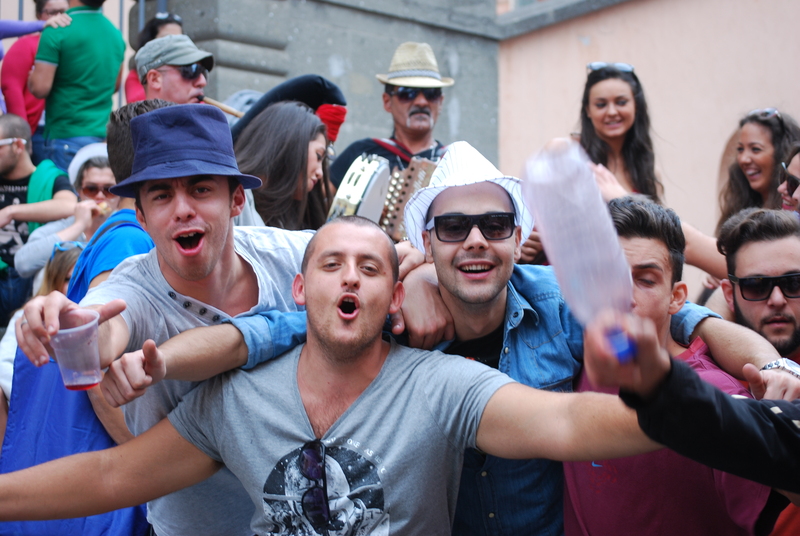 Marino, just 21 kilometers south of Rome, is a little hill-top medieval castle town with a big celebration of the grape every year on the first Sunday of October. 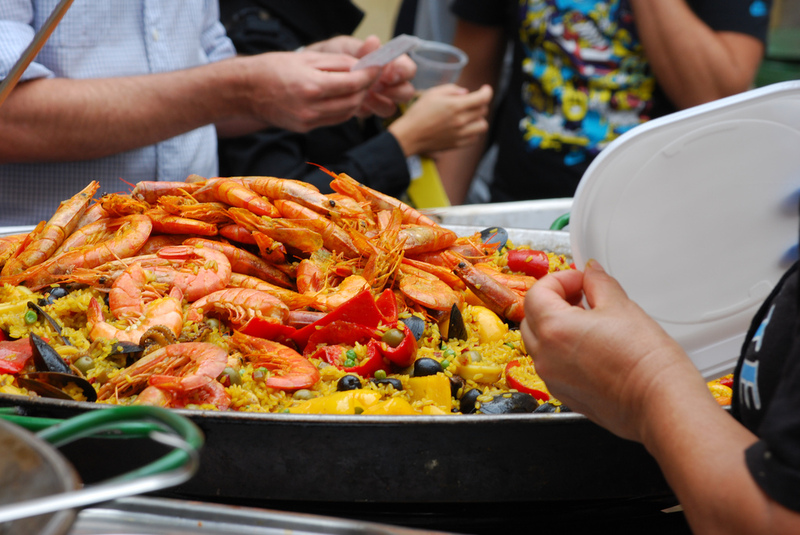 Set in the famous wine-making Alban Hills, the Sagra dell’Uva is a day of merrymaking, feasting and drinking a whole lot of local wine. This same region of Castelli Romani, once a summer resort full of luxurious villas for the Roman nobility, was also famous for ensuring the early Roman Emperors had good wine to drink. 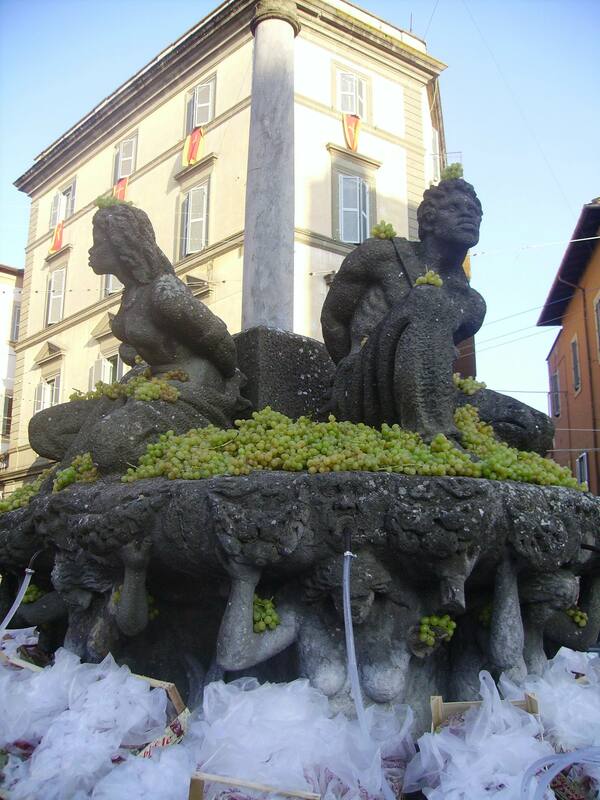 During the Sagra, clusters of grapes dangle over statues, terraces, doorways and balconies. Food stalls line the streets offering plates of delicious mussels, clams, olives, nuts, fruits, sweets and hot pork sandwiches called ‘porchetta.’ Medieval jousting tournaments, the Palio dei Rioni, stir up the turf while the townspeople, dressed in traditional costumes, hand out grapes and wine to the festival attendees. A colorful display of bursting fireworks tops off the evening as the celebration carries on. It gets rowdy! Beware! Stay too long and this is what happens…they come for you! It all began after the Battle of Lepanto in 1571 when admiral Marcantonio Colonna returned to his hometown of Marino following his famous victory over the Turks. More that 250 sailors were sent to the battle but came home safely. Leone Ciprelli, a local poet, started the very first Sagra dell’Uva in 1925 to keep the victory of Lepanto alive. It has grown in popularity through the years to the degree that over 100,000 people now attend the event on Sunday. 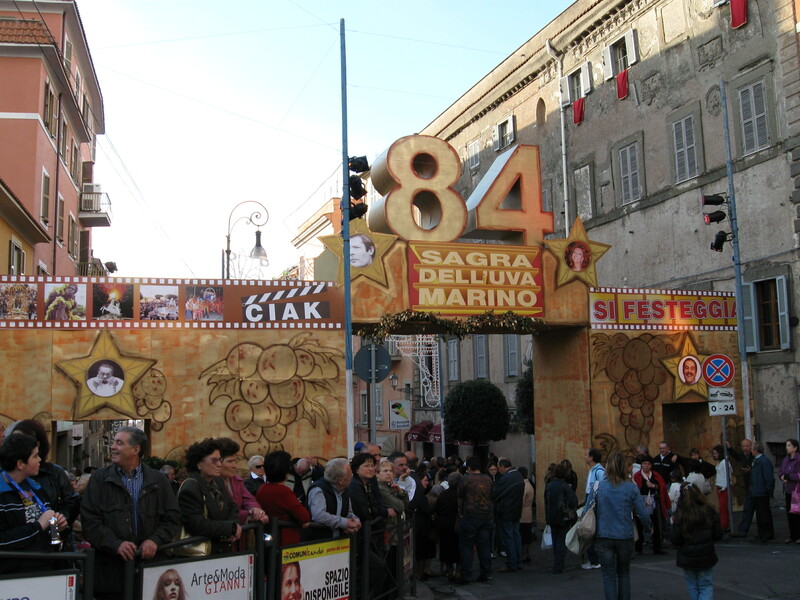 The Sagre dell’Uva is celebrated every October to give thanks for their safe return. The big draw that everyone crowds in for is the running of the wine through the spouts of the main fountain. This happens as nightfall begins, usually around 5 pm, when the little village is transformed into a mass of excited onlookers. After the blessing, cups, pitchers and jars of all sizes are used to capture the 5,000 liters of the sweet golden nectar of locally grown wine. 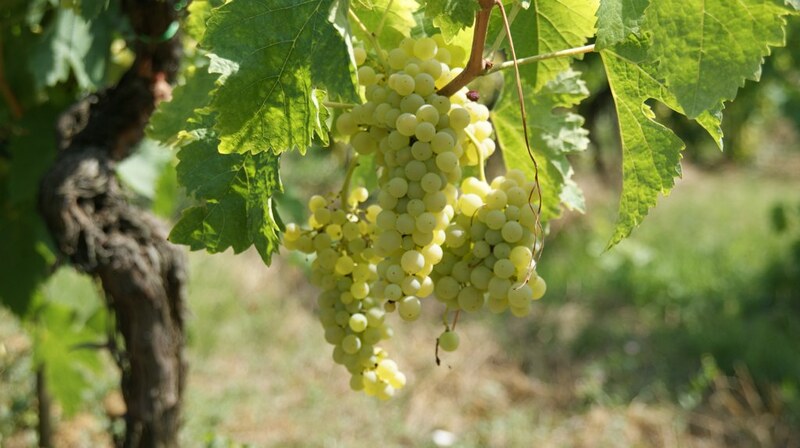 Frascati is the most popular of the wines grown here, produced mainly from Malvasia and Trebbiano grapes, described as a fruity, acidic wine, with honey undertones. Several reds are also made and are available at the festival, including Merlot del Lazio and the Castelli Romani Red, Collezione Marchesini, described as a soft, fruity and easy-drinking wine made from the local Ciliegolo grapes. Just about every rural family has a vineyard that produces wine for its own use and often sold in litres at a bargain price. This annual event costs the city approximately a quarter of a million dollars to put on but the benefits are worth it. Not only does Marino continue to promote the local wines of the Golden Goblet Wine Cooperative, which provides all of the wine, but they also keep their tradition alive which attracts tourists and puts Marino on the map. On a previous year at the Sagra dell’Uva, a shout of “miracolo” was heard coming from a balcony overlooking the square of the main fountain. Evidently a woman had just filled her bucket at the kitchen sink to mop her floors and noticed that the water had been turned into wine. The neighbors as well had wine coming out of their faucets and it was thought to be a miracle. But the mayor announced that the ‘miracle’ was in fact a technical error in the plumbing. The pipes had been switched to the homes instead of to the fountain. And all of those who were crowded expectantly around the fountain in the square were greatly disappointed. Susan, what a fun story. I am afraid I am way too old to participate, looks like a wild time had by all. The ending story is hilarious. Speaking of refreshment, want a girls’ night out soon? Thank you for your reply to my post! I am always glad to hear back. Where are you located? I am always up for a girls night out! !